In after-hours trading, AAPL is indicating 452 after trading as high as 469. 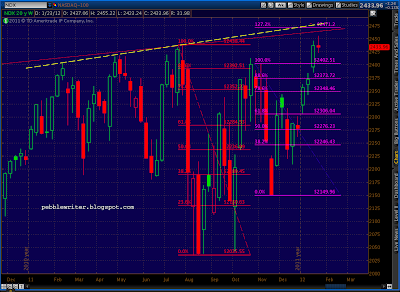 The only FLi in the ointment is a bearish Crab pattern that completes around 465.87. AAPL has been locked in a crazy steep channel since 2008, and 469 tomorrow would complete the Crab and take it north of the channel boundary. Here, for your iZonely. 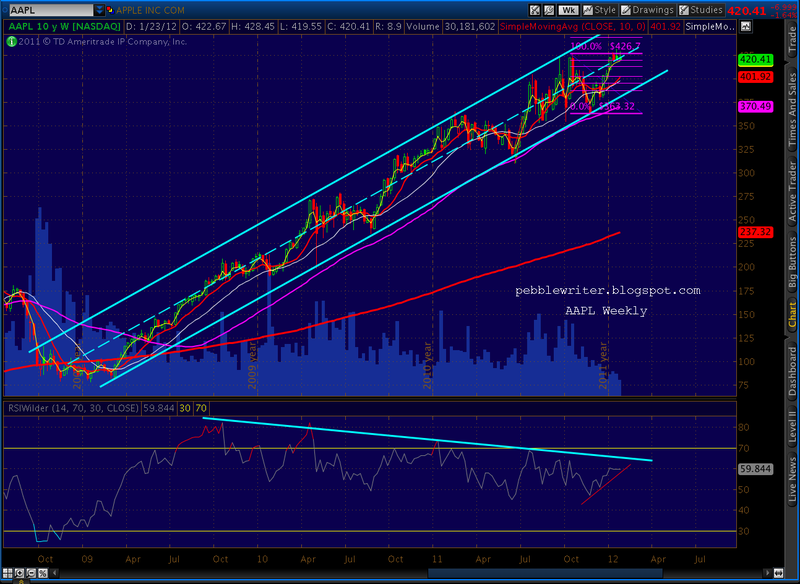 It’ll be interesting to see if RSI tags along for the ramp, or whether it falls victim to its two year-old trend line. 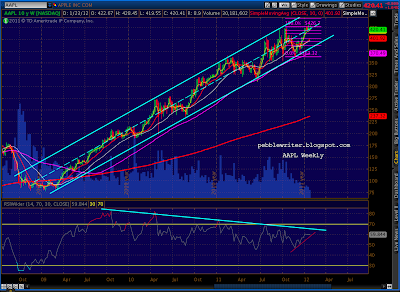 If so, could get some nice negative divergence. 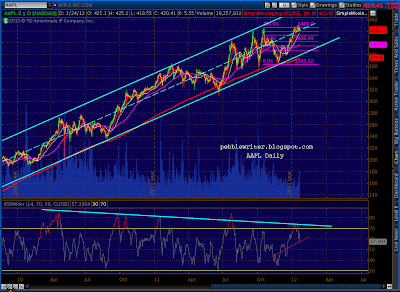 Another day, another broadening of the rising wedge. We’ve had three RW failures in a row, so it’s normal to be a little gun shy at this point. 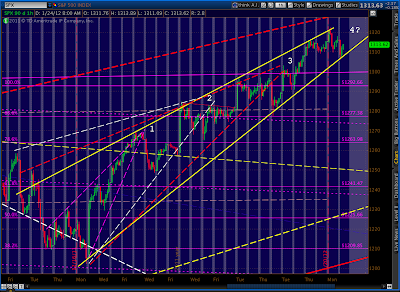 For now, my target remains 1329. 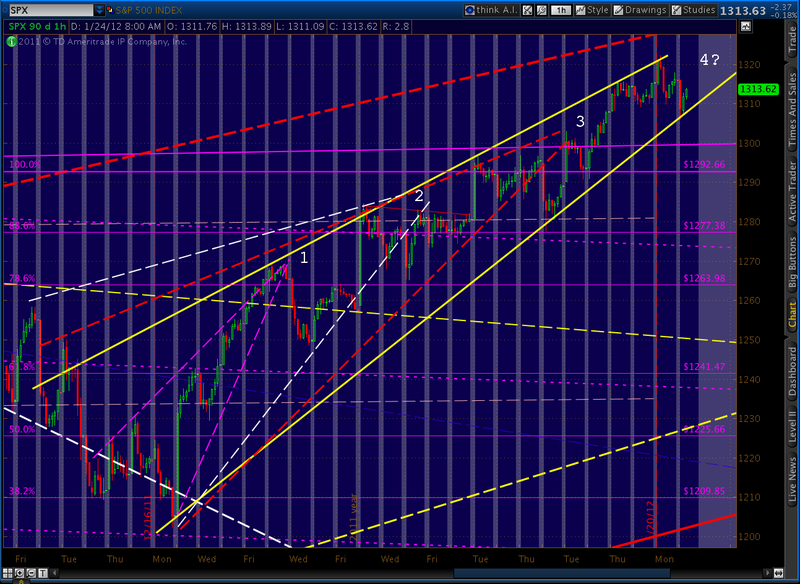 We completed a little H&S; pattern that points to 1297.60 — the broadening I was alluding to yesterday. 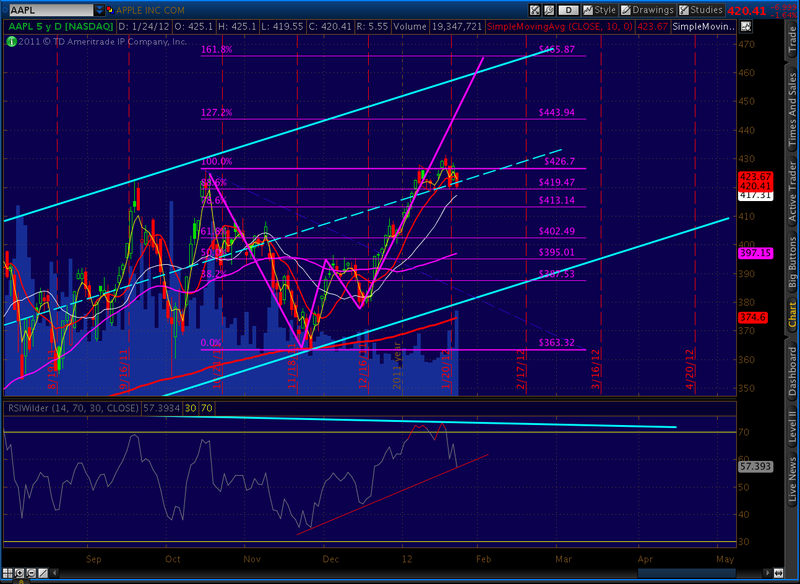 If it plays out, though, it’ll be in line with the intra-day lows on 12/21 and 1/13 and look suspiciously like a channel. It might also appear as a “back test” of the wave ending at 1292 — in other words, a corrective wave rather than an impulse down. Going out on a limb here, but I don’t think the MM’s are done jerking us around. 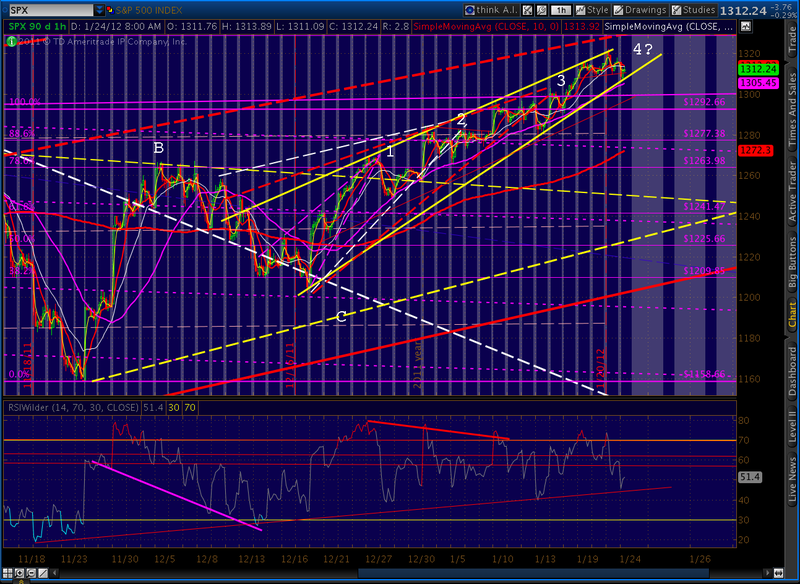 I’m watching a lot of indicators, but one that always speaks to me is RSI trend lines. Check out the 60-min chart. The trend line connecting the RSI lows since November 21 has stopped every downturn since from becoming more serious. 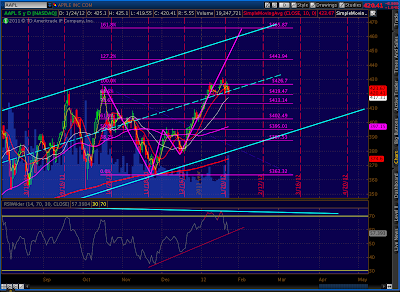 I would think twice before loading up on shorts until at least that trend line is broken. I would also tell anyone going long or short here to make careful use of stops. The game is just about up, but there is plenty of danger in taking an unprotected stand one way or the other. PW, that was funny. apple can certainly buy everything. It is according to zerohedge, the 58th wealthiest country if it were a country with all that cash. That is something. Do you think the scenario will be we gap up tomorrow to the SPX 1325 area, camp there until the Fed announcement then drop hard? 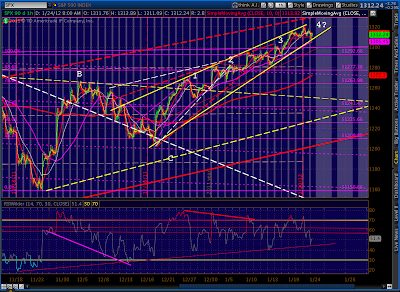 I certainly am gettng a bit impatient with this top formation. we need some Volatilty!!! 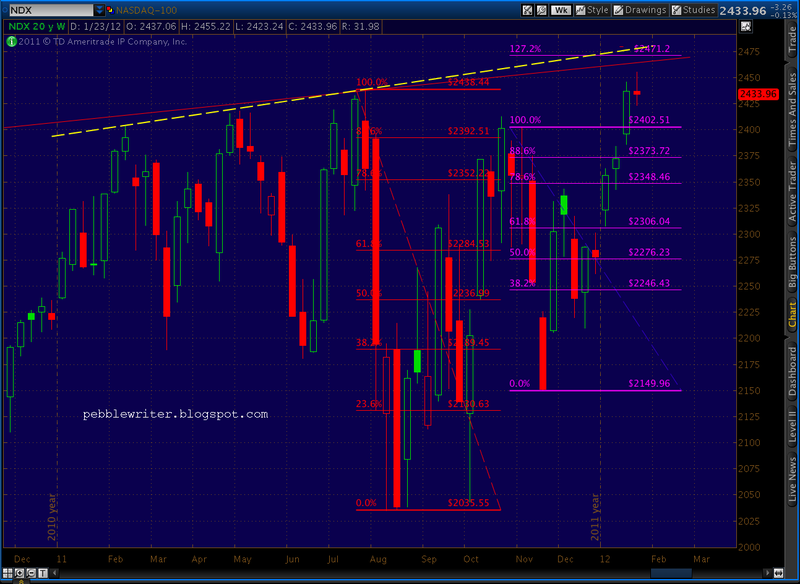 Is there a level for the spx that it absolutely must not cross in order to keep the bear case alive? Just wondering.